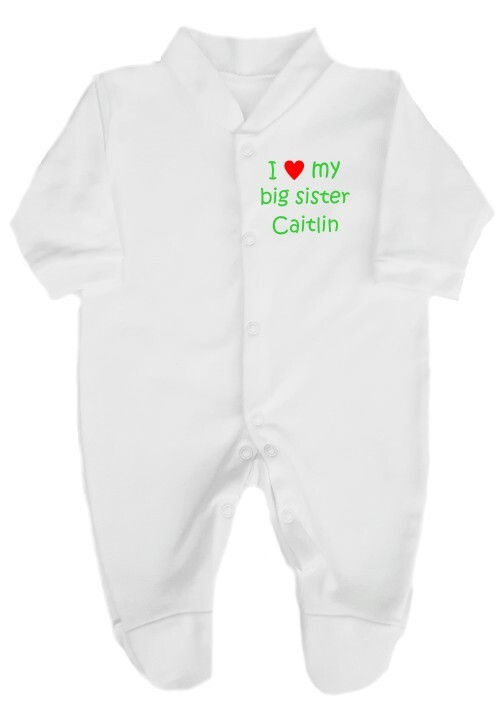 This would make a lovely baby gift and spoil big sister at the same time with this cute 100% cotton babygrow printed on the left breast with “I love (heart) my big sister” and personalised with her name. If you would prefer not to have the name please leave the box blank. Please choose the print colour from the selection and the heart will always be red.